Mystical Magical Ways of Spiritually Generating Money When You Need Money. Please read our full disclaimer, click here, before proceeding to visit our sites. Additionally, your use of the Elprehzleinn websites implies your agreement to our legal terms. When addressing financial matters in any of our Sites, videos, newsletters or other content, we’ve taken every effort to ensure we accurately represent our programs and their ability to help you improve your life. However, there is no guarantee that you will get any results or earn any money using any of our ideas, tools, strategies or recommendations. This is not a “get rich scheme.” Nothing on our Sites is a promise or guarantee of earnings. Your level of success in attaining similar results is dependent upon a number of factors including your skill, knowledge, ability, dedication, business savvy, network, and financial situation, to name a few. Because these factors differ according to individuals, we cannot and do not guarantee your success, income level, or ability to earn revenue. Something new added to the program: Might seem so simple but can be so powerful to watch this chakra cleaning and balancing video. It's just colors. Here is a way that you can support this work AND a new way I put together of spiritually generating money for yourself click here for the new Ultra Money Manifesting audio and instructions how to use it. "Excellence is Just The Way It Is." To start here is a short document that entirely summarizes an effective way of establishing the kind of financial thinking that can bring you total financial well-being from now on. It is quite easy, and it is entitled the "The Basic Formula" for financial well-being. Click here to download it now. Enjoy. We hold this citrine quartz to help get money when we are wondering how to get money now while we do the below chanting work. We know we are using the law of attraction because Shreem Kleem Brzee is the resonance for money and the other mantra "Nam Myoho Renge Kyo" supports manifestation of our desires. Do you have some citrine to hold while you do your chanting? Citrine helps to get the money and clear away the negative about it. Citrine does not hold negative energy. You never even need to clean it. We have many stories of how to get the money spiritually and how that did work for us and others. Many stories. It's a mystical process so don't hesitate to contact me to get help understanding how it works and how to make it work for you as you explore and play with what is presented here. At the end of 2013 I published a digital book that is on a similar topic to this course read it on any device or computer. Here is the link to get it "Spiritually Generating Real Money". In joining together with the All That Is we decided to take answering the question of "how can I get more money" to the next level and so we produced this program for me and for you to enjoy experiencing when spiritual methods are employed to activate the secret how to use the law of attraction when you need money in a way that actually works. Take this program and join us in benefitting from it as there is a power in doing things together! In this 9 minute 29 second audio JoreJj Z. Elprehzleinn explains what is the Ultra Money Manifesting program and how to make the most of it when you need to generate more money with purely benevolent outcomes for all concerned. Click here to access and play or download the audio. In my personal practice of this Ultra Money Manifesting program in the first 21 days of doing it which I started in early 2012 what manifested for me was more actual cash during those three weeks than I previously had seen come in before in any three week period in over a year. And much more in terms of business development, new ideas, and changes that seem to support massive future financial success. Below are the steps, do EVERYTHING for best results. This is spiritual WORK that is intended to generate tangible manifestation. There is absolutely no guarantee that this will work at all for you nor for anybody. This is not scientific, this is mystical. This is based on the theory and my experience and mystical training in these arts and how they work. This does not replace anything else you might be doing or do to legally attain more money. This is intended to set up changes on the inside that change your opportunities and connections and whatever is needed on the outside to match the vibrations of you have more money in your individual life with purely benevolent outcomes for all concerned in a way that is beneficial to you and your soul path and purpose in life. As you put in a serious effort and joyfully have fun on this adventure and it is intended to pay off far more than many other types of things you might do for money, such as worry about it. Meaning that focusing your mind on effectively on a positive improvement in your financial life at the spiritual level may be the most effective thing you can do to bring about the inner changes that bring about the outer positive improvements in your financial life and what you allow and receive and have and do and be as such. Inner work is extremely rewarding and this work is focused on being financially rewarding. So have a work hard, play hard, seriously fun atttitude about doing all this. You can trust our advice in that regard and that these practices done all together are easy enough and very effective to manifest money if you follow the program passionately with effort - it pays off. Even dabbling will pay off but you understand what we are saying. Here we present this imagery for your financial empowerment. Feel free to print and download this magical monetary empowerment artwork. Use on your computer or mobile device as a background art. There is also the Sanskrit word for fearlessness, "Abhaya", monetary currency symbols to resonate you with the language of money, the mark of Archangel Michael, "Ganymede" one of the moons of Jupiter and a scorpion protection talisman with prayers inscribed on it that I received personally from a Tibetan priest years ago. Play the Nam Myoho Renge Kyo mantra video while YOU chant out loud or in your mind the Shreem Kleem Brzee mantra or watch the Shreem Kleem Brzee mantra video while you listen to the Nam Myoho Renge Kyo mantra video. Depending on what devices or computers you have it's up to you to arrange how to do that. The idea is that you are listening to Nam Myoho Renge Kyo while yourself chanting Shreem Kleem Brzee and or watching the Shreem Kleem Brzee video (mentally is recommended however out loud if you desire or prefer). Since Nam Myoho Renge Kyo is known to be extremely helpful for assisting the manifestation of your desires we are intending that to support the intention of generating money which is what you are doing when you focus on Shreem Kleem Brzee. Intending beautiful money life for you and those around you. If you click those words you go to one of our Youtube playlists that has videos that inspired the design of this main component of our ultra money manifesting program. You can also work with the Shreem Kleem Brzee mantra by writing it out over and over again, or by watching it regularly from our YouTube site, click here. There is no limit on how much you can do this chanting. One of the first benefits to look for is the reduction and ultimate eradication of any financial anxiety and or worry that you might have had. I have for example put the video mantra at the home page on and watched it on repeat for over two hours. I can feel it working. I do it internally. Mentally. You can do it at least ten minutes per day, or even twice per day minimum during the time you are really going for it, or much much more than that. Feel your way into it and don't hesitate to contact me for help with this. Here is a link that nicely explains the power of Sanskrit Mantras in addition to the video playlist link when you click Shreem Kleem Brzee above which specifically explains about that particular mantra as well as providing some other potentially helpful money manifesting video tools. And this link explains how mantra is "undefinable" which should help you let go of thinking about how it works, and just let it work by faith and trust and the magic power of mantras. Click here to see and hear our Ultra Money Manifesting playlist of videos on Youtube which provides insightful support and background information and more regarding the chanting of Shreem Kleem Brzee and more. Click here to download or listen online to JoreJj Z. Elprehzleinn saying "Shreem Kleem Brzee" 108 times. You can listen to this one to four or more times per day to attract money powerfully into your life, using mystical means. Enjoy. This "chanting" is extremely powerful and effective however you can use our help as you do it to make sure it is working effectively. This help can get very detailed and exact and precise to your life situation. We want you to know at this time that when you order our "Empowerment Script" program and choose the optional full package for an additional financial donation that getting into detail about your life challenges and "demons" and various so-called "bad influences" and helping you transform them and understand them and alleviate them can be a HUGE key to your transformation and success. The success of realizing that which is the "Future of Your Dreams" that you CHOOSE. This can now be done like never before if you let us help you fully by taking our Empowerment Script program and the optional full package. In the meantime you can accomplish so much with this chanting work, for manifesting the changes you need to get the money you need. And you can greatly benefit by supporting that chanting with this video on "Narasimha" which you can get by clicking here. Make sure and scroll to the "more info" and have a look at the pdf near the bottom of that info. At this time I personally chant "Shreem Kleem Brzee Narasimhadevaya" to merge the money generating powers of Shreem Kleem Brzee with the protection and safety generation of Narasimha. However sometimes it is easier to stick with the Shreem Kleem Brzee only. I am here to help you do these practices fully so contact me if you want help. 2. Watch these five ultra short, ultra powerful videos as needed and often during this process of ultra money manifesting. 1. Pure Benevolence, click here. 2. Extremely Positive in 9 Seconds, click here. 3. Transform in 2, click here. 4. Enjoy watching and absorbing the "Shreem Kleem Brzee" movie on YouTube by clicking here. This video is a prayer to Goddess Kamala who specializes in ending poverty and also has a powerful visual symbol "Moksha" which stands for freedom from all suffering and the soundtrack is our subliminal "Health" audio and you see a beautiful crystal with Chlorite which is said to aid in generating financial abundance. 4. I have provided a number of the most helpful subliminal audio titles we have in our library. Click here to go to the library and near the top it should be clear which titles are available for free download now. You can also get a full access pass to our "Electronic Art for Your Brain" library of audio and visual imagery. There are titles like, "Money and Health subliminal audio", "Great New Job", "SuccessFactor", "SaboClear", "PowerCircle", "MidasMaker", "SalesCommerce", and quite a few other titles directly related to manifesting money. And much more. You get access to the entire library with your access pass which entitles you to download any title from the entire library. Click here to see what is in the library, see which titles are free for you now and if you so choose to also (or later) get your all access download pass to every title in the library. I want to point out that there is a FREE 001 subliminal audio to download among the other free titles at that page which is for preventing unwanted subliminal programming and for generating and replicating more and more of the subconscious programming you do desire to bring about your success as if automatically by the magic of your mind in harmony with your higher self and what it and you wish for your life. And there you will find more as well to help you greatly. 5. click here for the Money and Health subliminal audio download page. Enjoy. Release your fears and guilt and shame about money (and anything else) by listening to Solfeggio Frequency 396 audio which you can listen to on YouTube: click here. Get the file entitled "Quent Laxis". This also helps to achieve your goals and is a very important component of this ULTRA money manifesting program. This frequency liberates the energy and has beneficial effects on feelings of guilt. It cleanses the feeling of guilt, which often represents one of the basic obstacles to realization, enabling achievement of goals in the most direct way. The ‘Ut’ tone releases you from the feeling of guilt and fear by bringing down the defense mechanisms. 396 Hz frequency searches out hidden blockages, subconscious negative beliefs, and ideas that have led to your present situations. As you put all these components together and go about it please realize that if you already got our "Empowerment Script" and you made a donation we will fully coach you and support you and help you to do this and our other programs. Enjoy. This works. 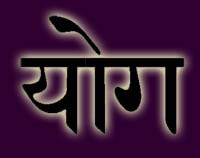 Success Tip: Use the mantra to Ganeshaya that is provided when you click here . Use it as you feel you need to in a supportive manner. Ganeshaya mantra powerfully supports this overall money manifesting process in many ways. Since this process includes the flushing out of emotional darkness or fear or worries or other constricting emotions and thoughts that may arise as you go through this process of manifesting money, use this mantra for that. 6. Introduce yourself to the key, our "Magical Star Talisman" by clicking here. You will find an audio teleseminar that provides details on how to use it. Just simply looking at it is beneficial and you are welcome to print it. You can fold it up and put it in your wallet or purse or on your wall or on your mobile device or computer background screen. 7. Read the Empowerment Script. Get it by clicking here. This can help the entire process TREMENDOUSLY, we mean even more than you can possibly imagine. We strongly feel that doing ALL these components together is certainty of effectiveness for manifesting money. However feel free to only do part of the components. We recommend you do them all that is what we are proposing. Do it all at once, AND work with our personal coaching. Make a full effort, get full results. However know that any effort using only any part of this can be successful. We only share quality materials and services that work. Contact us through our home page if you want more help with all of this. Just do it, do it, do it. The inner work does work. IT does work. And we put all this together for you in a most excellent way. The Basic Formula, click here to download it now.